‘Clown’ is an installation in which the spectator is one of the main characters. 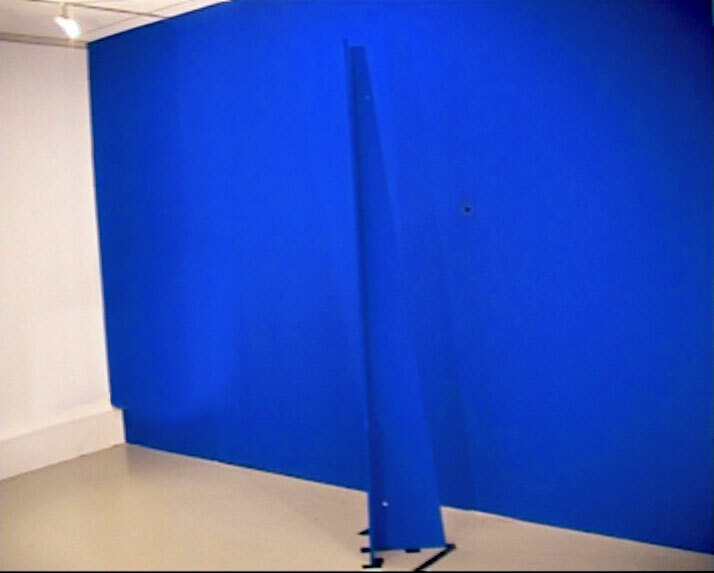 When looking through a peeping hole in a blue wall, one sees a projection of a forrest. In that forrest a half naked clown is trying to get her trousers out of the trees, in which she almost succeeds. It seems that she isn’t enjoying her ‘act’ but what the reason of the ‘act’ is doesn’t become clear. The clown isn’t the only one in the forrest: the spectator is also appearing in the projection. He /she is watching from behind a tree at the jumping clown. 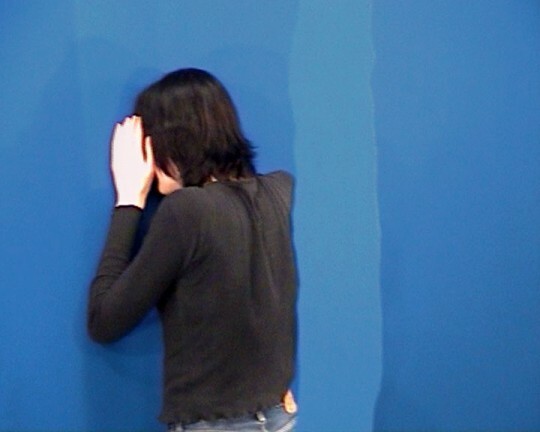 By making use of chromakey technique the spectator becomes a prominent character in the installation. But the spectator isn’t able to change the situation of the clown.